For Cod´s Sake was awarded The Best Foreign Film during the 2011 The Sea Calls! – The International Maritime Film Festival in St. Petersburg. 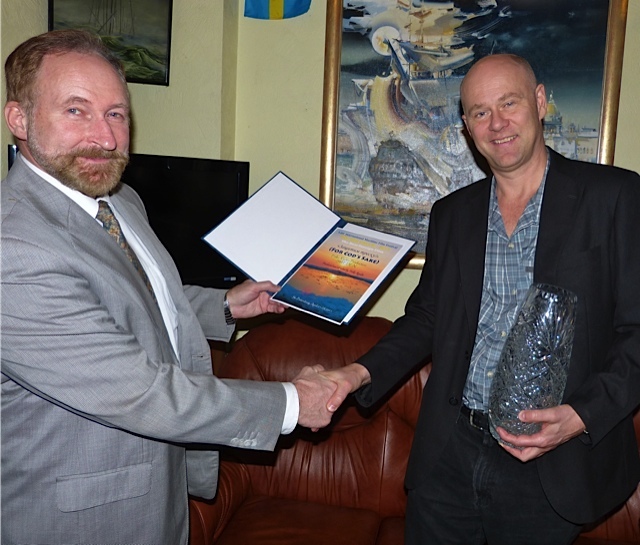 During a visit in St. Petersburg, producer Folke Rydén received a crystal vase and a diploma by the festivals director, Mr. Sergey Aprelev.